Happy Thursday, everyone!! 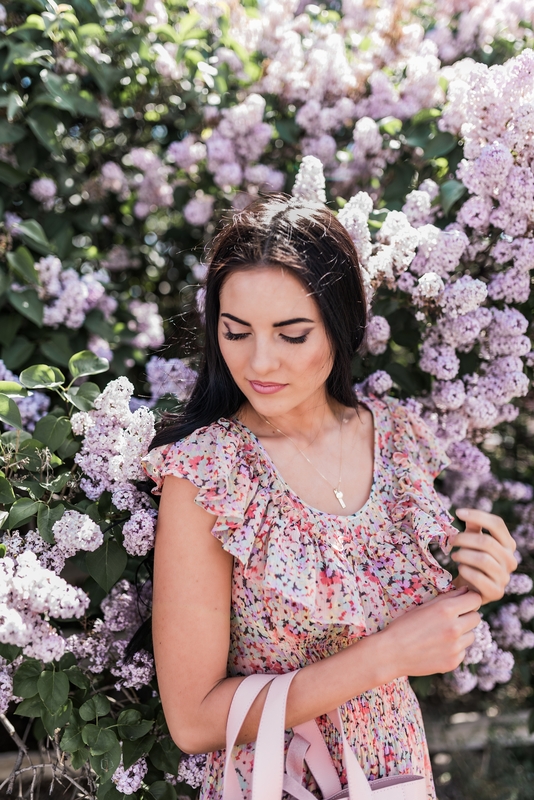 I wore this outfit yesterday (you might’ve seen it on my IG in this post) while we were out looking for lilac bushes and we found this beauty! Springtime flowers are seriously so gorgeous. 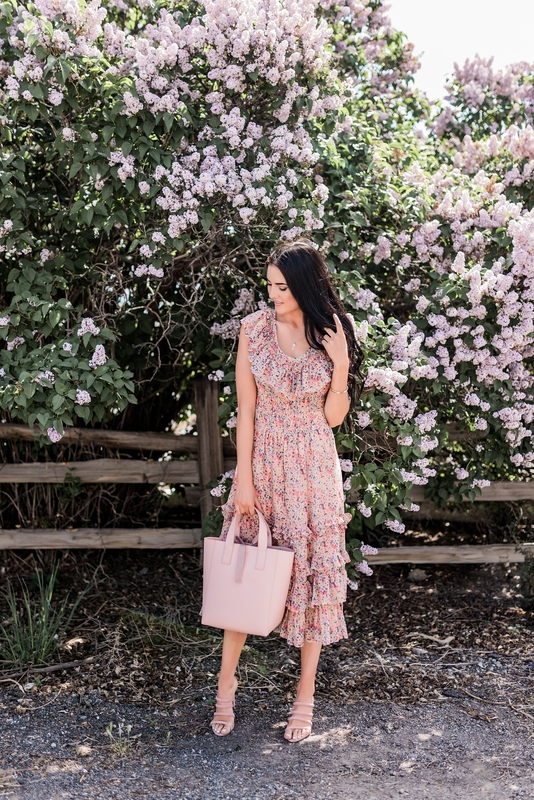 One of my go-to outfits every year for the spring and summer seasons is a feminine, lightweight dress paired with a cute handbag and fun, strappy sandals! It’s the perfect outfit to wear to a garden party, a day out with my sisters or even an event like a wedding! 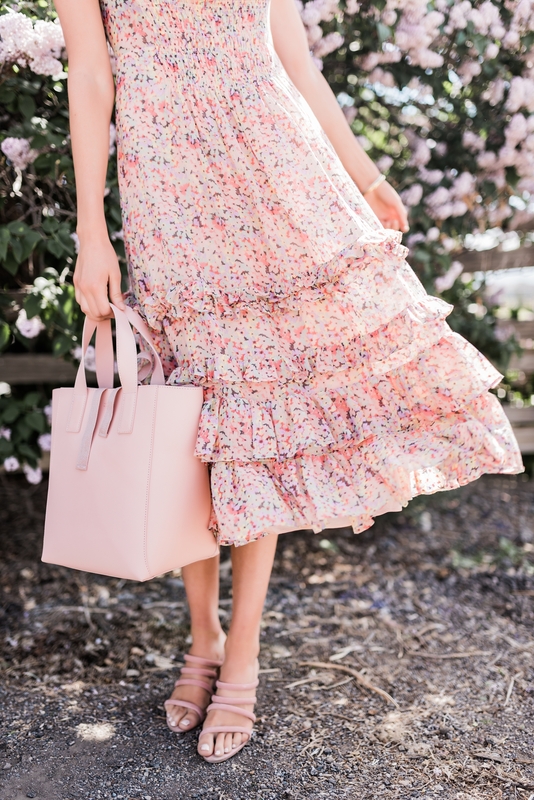 I found this dress and this bag at Saks last week and the best part is BOTH are ON SALE right now as part of Sak’s Sneak Peek Sale. Get up to 40% off select designer styles!! The sale ends Sunday, so click here start shopping and take advantage of the sale! 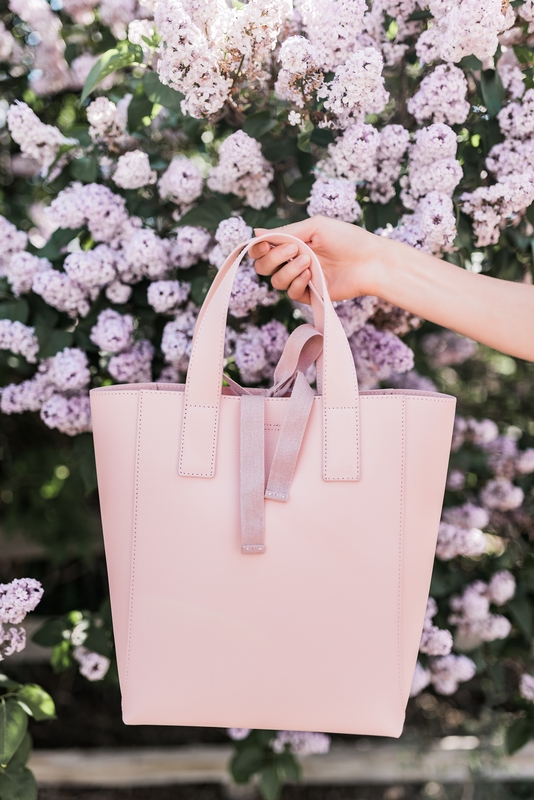 I’ve linked more pieces I’m loving from the sale in the widget below! I lovemlilacs. These are gorgeous, what a beautiful day! Your dress matches the occassion PERFECTLY! 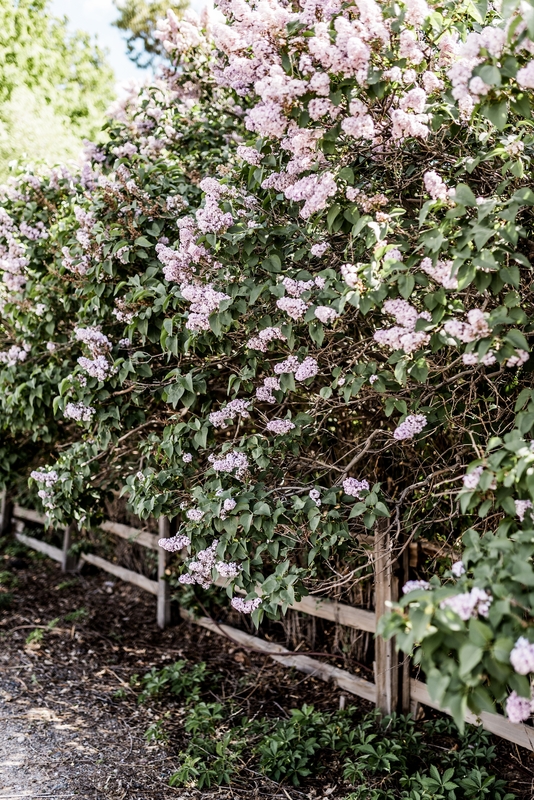 Oh my that Lilac bush is gorgeous!! And your dress is so cute! A perfect spring outfit with this dress and beautiful block heels! The pictures are glorious ! Head to toe, this look is perfection! Obsessed! What a lovely outfit! And the location is just stunning! I love the beautiful flowers and those fun heels! I love the pretty dress and the gorgeous flowers! Such lovely photos! You look so gorgeous! I’m obsessed with this dress!?? Love ? 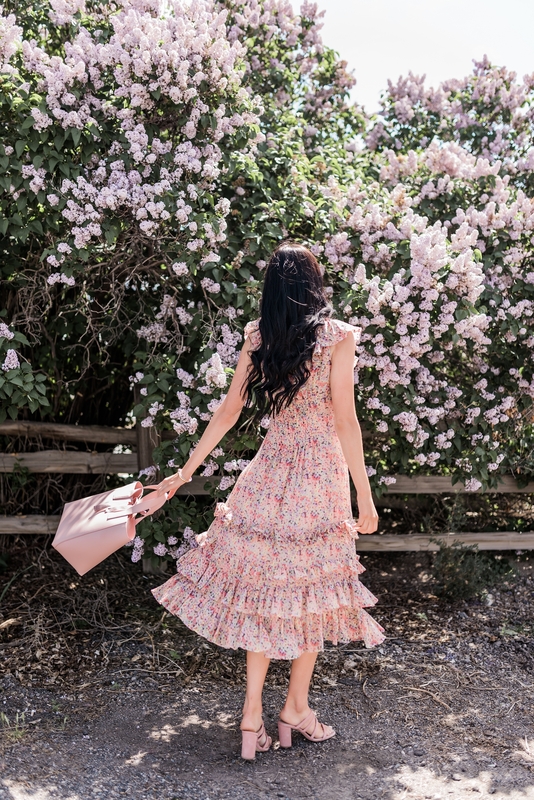 this sweet and charming floral dress look for Summer! Very loveLy! ???? 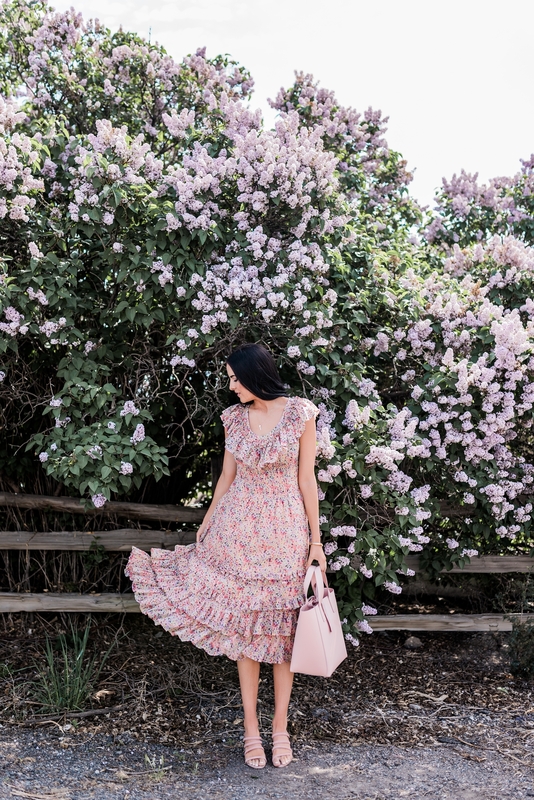 You are always so spot on with all of your outfits and you always inspire me to wear more feminine and dreamy outfits like this one. :) I’m loving your dress! This post is just beautiful and the photos are stunning! The dress is gorgeous.Very loveLy! ??? ?